St Mary’s is committed to being fully inclusive and we believe in working with the whole family to achieve the greatest outcomes for our children. We are on our way to becoming an Adoption Friendly School and as part of this process, staff have undertaken comprehensive training with PAC-UK. St Mary’s was the feature article in the SEN magazine Special Children- see this link to read all about our work. One in ten children and young people between the ages of five and 16 have a clinically diagnosed mental health disorder. For many problems persist into adulthood. Yet in the UK, children and young people receive less than 5% of mental health care funding. At St Mary’s we are committed to good mental health and believe it is the key to success. We are fortunate to work closely with The Anna Freud outreach service, which provides systemic family psychotherapy. Working in collaboration with our school Learning Mentor, our therapist meets weekly in a multi-family group setting. Support is provided to both the child and their family within the non-stigmatising environment of the school. “ We simply cannot thank St Mary’s enough for the support provided to our family, our daughter is now thriving and we feel our lives have been transformed”. We are very lucky to receive support from our Board of Trustees, which funds both the outreach practitioner and our learning mentor. Homophobic, biphobic and transphobic (HBT) language and bullying are widespread in UK schools, affecting young people’s well-being as well as their attendance and attainment. Celebrating difference and tackling HBT bullying is crucial to making all children feel welcome, and enabling them to learn how to accept others for who they are. At St Mary’s we tackle discrimination of all kinds; our lessons and activities are designed to challenge thinking and to celebrate difference. 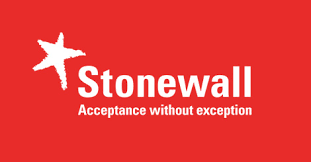 Through training and implementation, we have become an accredited Stonewall supporting School. We support various charities and in the past children and staff had a jolly time wearing a crazy tie for the day to raise money for Children in Need. This event raised a a fantastic £504.40! We have also held Macmillan coffee mornings also raising hundreds of pounds for the truly wonderful Macmillan nurses. St Mary’s children and staff have been honoured with a visit from Skye the guide dog and her owner Jackie. The children were in awe and brimming with questions. In the afternoon each class held a sponsored joke telling session and raised lots of funds. We are very excited by the introduction of a whole school project, which begins this year and continues over the next 3 years. PATHS compliments existing School procedures which help to make St Mary’s such a caring School. PATHS® seeks to change/build upon a school’s ethos and culture, through working with the school leadership and teaching staff. In studies, PATHS® and SEL programmes have also been shown to have a positive impact on academic attainment and pupil behaviour.